Every second person you meet is going wither the began or the organic way. And that's the need of the hour. With the amount of adulteration in our vegetables and fruits to the junk that is served at several restaurants, it is high time we analysed the food we are consuming. Like the American author, Michael Pollan once said, "Don't eat anything your great-grandmother wouldn't recognize as food." Here's a list of restaurants that serve organic food and that fall under various budgets. Walk into this two-year-old restaurant, and you could find anyone from a 20-year-old to a foreigner to an 60-year-old. Tucked on the first floor of an old building in Adyar, the owner of the restaurant, N S Krishnamoorthi loves playing the host and gets chatty with all the visitors. If you order their meals you will be given varagu sambar sadam, kuthiraivali rasam sadam, samai thayir sadam, a sweet made from jaggery and millet, karakozhambu with ragi, bajra and millet balls and bottle gourd curry mixed with peanut powder. This filling meal will cost you INR 152. You will like even their water as it has edible camphor, tulsi, cardamom and clove in it. The other attraction are their tiffin items that include millet kozhukatta (INR 61), Ponnanganni Keerai Vadai (INR 42), Millet Ghee Roast (INR 90), Red Rice Dosa (INR 76) and more. There's a little bit of everything at this place in Mylapore. From filling meals to refreshing drinks to tiffin items. Don't miss the shopping corner with antiques. Their specialty is the bisi bele bath that is made from wheat, akki roti, ragi roti and wheat payasam. The long forgotten ragi kanji (INR 120) is a must-have here. For those with a sweet tooth, try their Ela Ada (INR 90). Check out their starters section that has some fusion options as well like Humpty Dumpty (INR 110) which is grilled mini idli. Heard of Idli Wedges (INR 85)? However, it is the thali that you must dig into. With almost 10 dishes the Mahamudra Wheat Thali is INR 445. 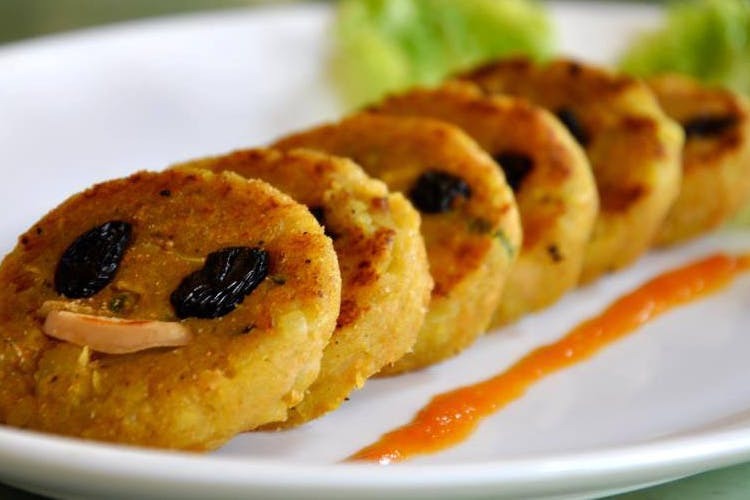 Another budget-friendly option is this cosy restaurant in Besant Nagar called Ka. Their sirudhaniya dosa options are mind-boggling and star from INR 80. The organic Chinese corner is our favourite that has options like Chilli Garlic Potato (INR 110) and Chilli Chappathi (INR 120). They have five different kinds of meals with a plethora of dishes literally and it begins from INR 110. Don't miss their ragi kozhukattai, kambu koozh, kombucha and paniyaram that is delicious and a quick bite for those who are on the move.The restaurant follows the Farm to Farm concept. Have a quick chat with Anita, one of the partners at the restaurant to learn more about it. Looking for a quick pot to grab some organic food but also want it to be under your budget? Check out this place at Gandhi Nagar, that has interesting options like Herbal Chappathi for INR 70. They have different types of dosai like garlic pepper dosai, millet dosai, millet carrot onion dosai, and ghee dosai, starting from INR 65. Don't get startled looking at omelette at their menu. It is made with sprouts. Gotcha! They have ulunthu kali and venthiya kali for dessert that are INR 40. Twenty-eight items, including five starters, three rows of vegetables, sambhar, rasam, curd, morkozhambu and red rice, one would think Rajakeeyam, the King’s meal at Sanjeevanam is a very heavy meal. But Murugan, the operations head, tells us that while a normal thali will come up to 1,800 calories, the Rajakeeyam thali with all the dishes only comes up to 1,024 calories. Now that's a fun fact. The thali costs INR 385. We recommend their millet dosa, upma, vazhapoo and corn vadai, sundal, ela ada and kozhakattai that fall under the tiffin category and cost from INR 55. They also have a list of natural juices and all their vegetables and fruits are organic. Won't you try them, now? This tiny place in Velachery has a short and sweet menu. But what sounds best is that three millet idlis cost INR 80 and their set dosa vadakari is just INR 90. We recommend their millet puttu which is INR 80 and puttu kuruma which is INR 70. Highly budget-friendly, this one is best for college kids who are looking to have healthy food amidst their busy schedule. You can thank us later!